Before any kind of occasion we all go out of our ways to prepare delicious snacks and main courses in time, and if a cheeky festive dessert gets involved too, we’re bound to spend the entire day in the kitchen. Who wants that, right? In order to peacefully sit at a table and enjoy your festive meal without having to check on that pie in the oven every 5 seconds, you can always bake it an evening before, and the last thing to do will be simply serving it with a proper cup of coffee. Not everybody understands that you should serve different pies with specific types of coffee – properly selected coffee won’t dominate the taste, but on the contrary, it will help reveal the best flavours of your baked goods. “Every festive meal should be followed with appropriate drinks that help create harmony between the flavours. Many would instantly think about pairing wine with the main course and leave coffee only for dessert. 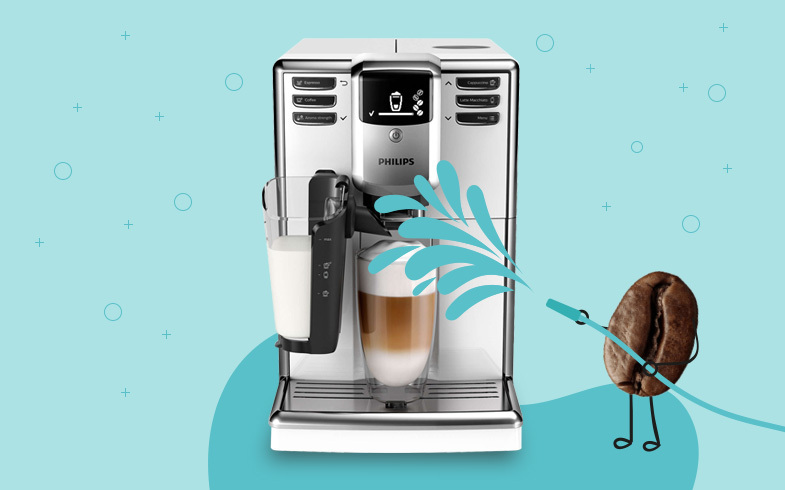 However, it is a complex beverage with unlimited possibilities when it comes to pairing with food”, says coffee expert and salesman of the retail chain “Coffee Mate” Alice, who is well experienced in working with coffee and coffee machines. According to him, sweeter desserts should go hand in hand with more bitter black coffees. This way neither the sweetness of the dessert nor the bitterness of coffee will overlap each other. Such combination will also be suitable for those who are less fond of sweetness. Light and mild coffee with a trace of fruit goes very well with cheesecakes or other cream-based desserts, because it helps to emphasise those fruity notes. Keep in mind that different types of coffee can reveal the qualities and aromas of different fruit. Some have stronger notes of lemon and grapefruit, when others stand out with apricot, cherry or pear flavours. These drinks fit perfectly with less sour desserts. 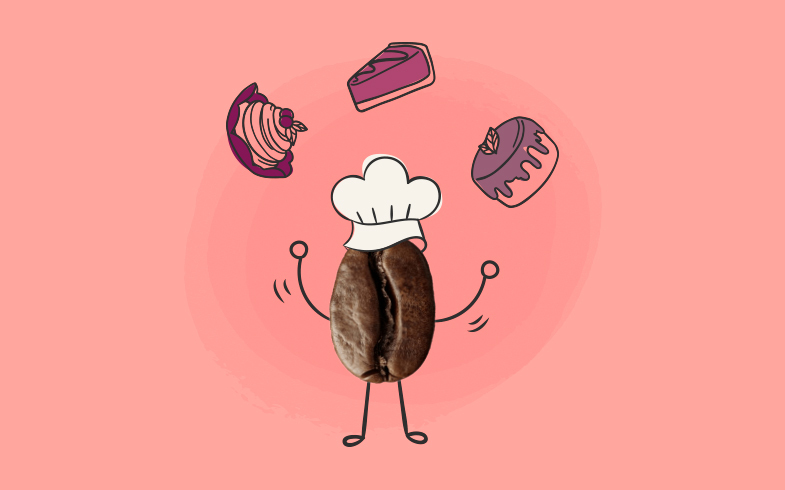 Just like combining other drinks with food, the same goes for coffee and desserts, you should always remember that the most important thing is to pair step by step and keep the flavours in harmony. 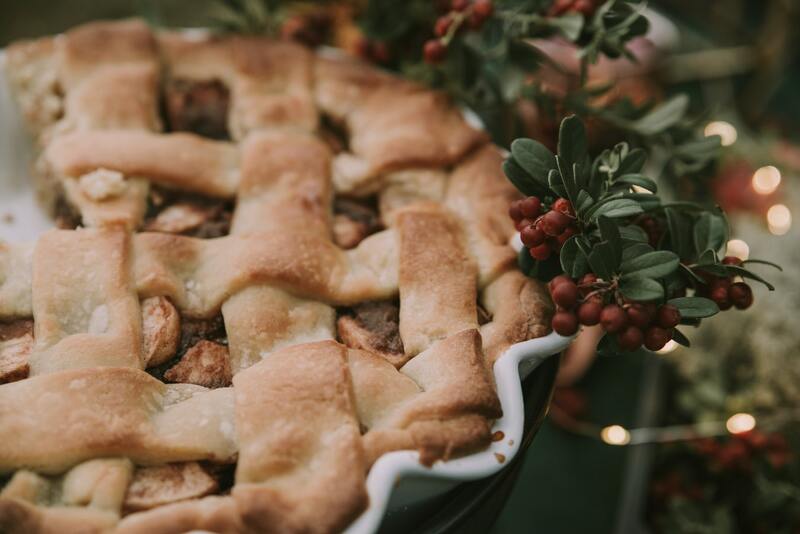 Coffee expert recommends 3 pie recipes for a festive afternoon and suggests what type of coffee beans could go perfectly together. “In a “Royal apple pie” the sourness of apples will be best revealed with the help of one of the world’s best specialty arabica coffee beans “Maragogype” where you can feel a spicy pepper aftertaste. If it’s a pie with dried fruit, you can choose coffee drinks from specialty arabica coffee beans “Papua New Guinea Sigri“. 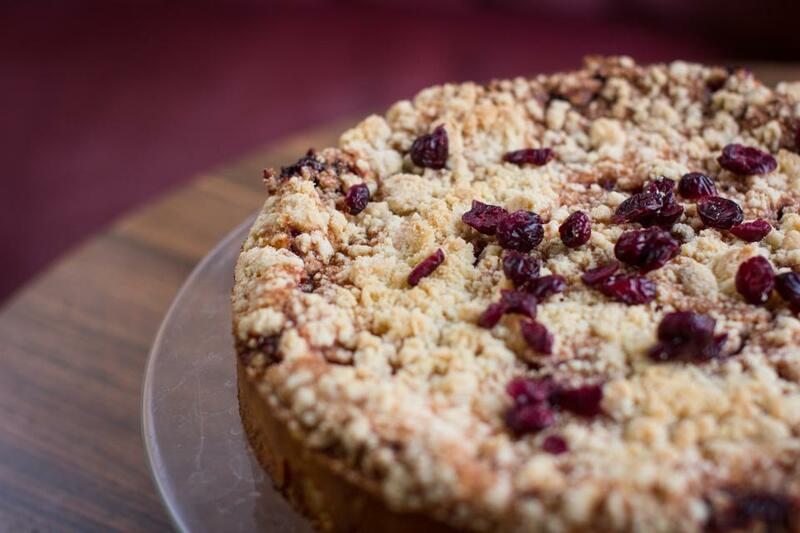 The aroma of dried fruit and ginger cookies will compliment the pie. “Ethiopia Shakisso” specialty coffee beans have a dominant taste of tropical fruit and aroma of flower, so drinks made from these beans will go perfectly with any pie with tangerines. 1. Whisk egg whites until foamy. Then pour in half of the sugar and whisk till everything becomes solid. 2. In the other bowl mix together flour, salt and baking powder. 3. Mix butter with the rest of sugar and vanilla, add egg yolks, flour mix, and work though the dough until it becomes crumbly. 5. Peel, core and chop apples into slices. 6. Put 2/3 of dough into baking pan and lay down apples chunks evenly, then add the egg white mixture. Crumble the rest of the dough on top, cover it with egg whites. 7. Bake it in preheated 180 °C oven for an hour. Cut and serve the pie when it’s cool. 2. Beat egg whites until stiff. 3. Whisk egg yolks with sugar, add flour and starch. Mix everything together. 4. Stir in dried fruit (finely chop plums), nuts and spices. Gently mix it all together. 5. Add egg whites and pour the batter into a greased baking mould. 6. Bake in a preheated 180 °C oven for around 40 minutes. 1. Firstly, pour hot water over poppy seeds and let them soak a little. 2. Wash lemons very well and grate the lemon zest, then squeeze the juice. 4. Whisk butter with sugar until creamy. It’s easier if the butter is melted. Then stir in the eggs and ricotta cheese. 5. 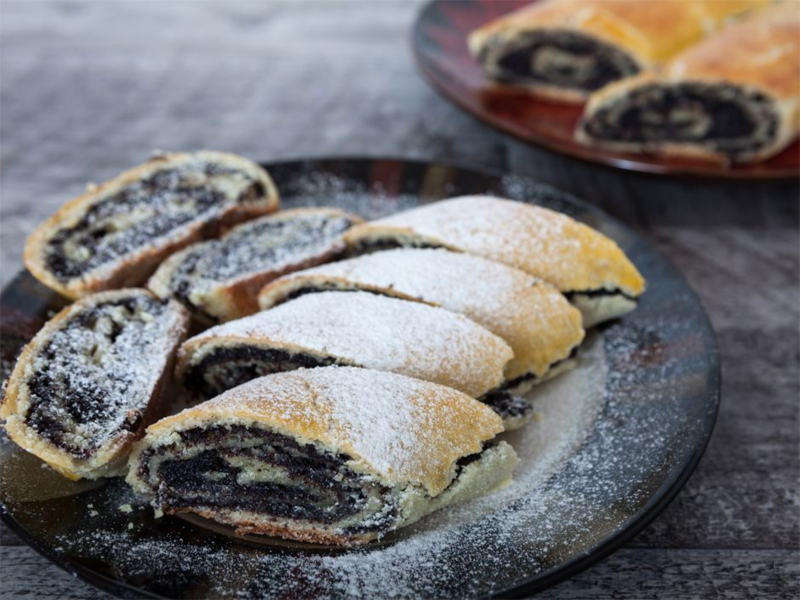 Blend tangerines until solid, then mix them well with lemon zest and lemon juice, poppy seeds, salt, baking powder and flour. 6. Place parchment paper into the baking mould, grease it with butter and pour the batter in. Bake in a preheated 180 °C oven for around 30 minutes. Decorate the baked pie with tangerine slices.